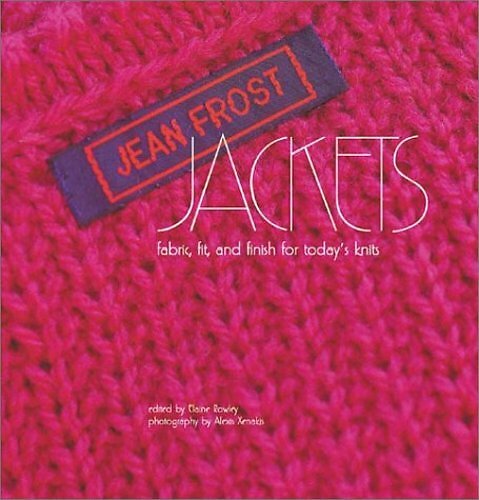 The jackets in this book reflect the great influence that Coco Chanel has had on my designs. The Trilling jacket was inspired by a design by Karl Lagerfeld, who ruled the House of Chanel after Coco’s death. With a bolero shape that just skims the waist, the jacket is embellished by four pockets and buttons on the cuffs. The knitted fabric has a woven appearance, yet a supple drape. Together, these features epitomize the softly tailored style of the Chanel jacket. YARN REQUIREMENTS: Light-weight yarn, 1400 (1600, 1800) yds / 13 (15, 17) skeins. SHOWN IN: Dale of Norway Heilo, #9335 Olive Green. 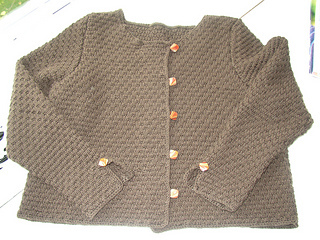 CONSTRUCTION TECHNIQUES: 3-needle bind-off is used to connect shoulders, slip-stitch crochet used to join seam and insert sleeves, single row of crab stitch is crocheted around entire body.